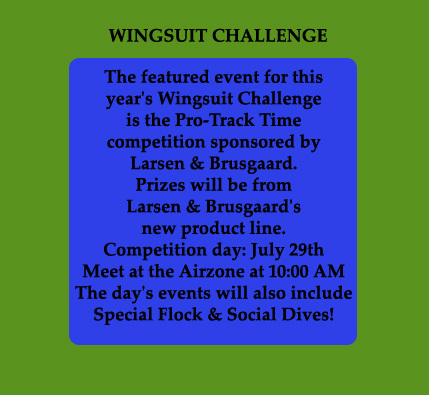 a Freedom Swoop competition at the World Freefall Convention on Friday, July 28th. 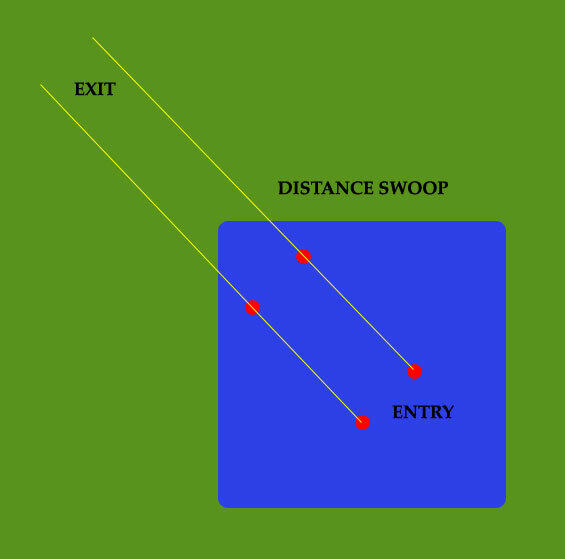 Judging was based on overall best entry, swoop execution, finish, and audience appeal. 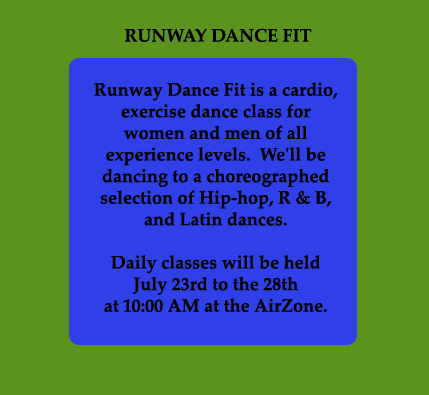 Seven competitors flew two trials rounds during the day for practice. The third, official round was conducted at sunset using the helicopter from Jason Preston of Preston Aviation. A big thank you to the competitors and audience for participating with us! 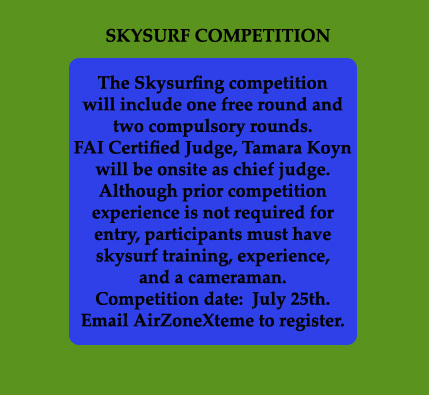 To view competition photos click here. 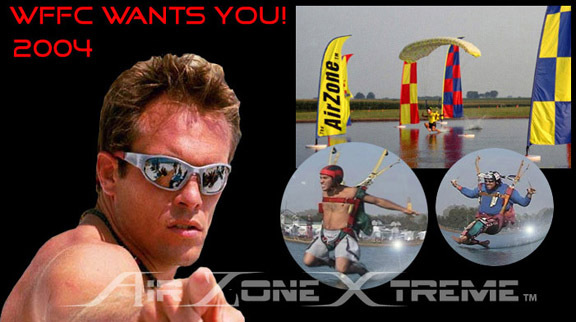 To watch AirZoneXtreme's 2001-2003 swoop competitions, click here. 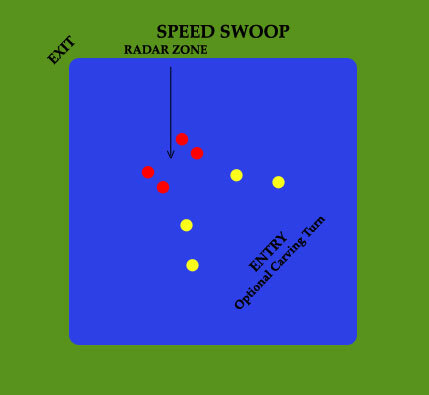 Annie, Olivia, & Rosalyn Trach organized and conducted a Freestyle pond swoop competition at the World FreeFall Convention. John Eddowes transported seventeen competitors to 5,000 ft in up to fifteen helicopter loads. There were three rounds of Freestyle designated as Superman, Lazyboy, and Open. 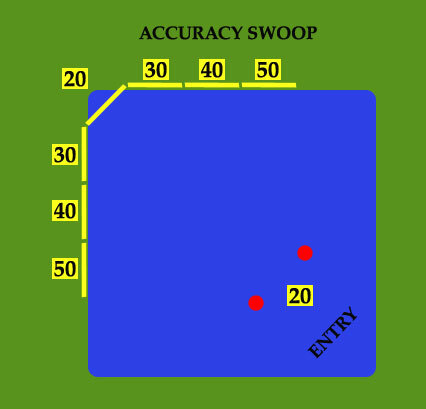 In the open round, competitors performed a move of their choice. Johnny Utah finished up the competition with a cannonball. The competition judges were JC Colclasure, Olivia Trach, Neil Boyd, Brian Germain, and AC. Mike X of Jacksonville Extreme Sports provided excellant event commentary to the great crowd of WFFC attendees, FAA, police staff, local VIPs. 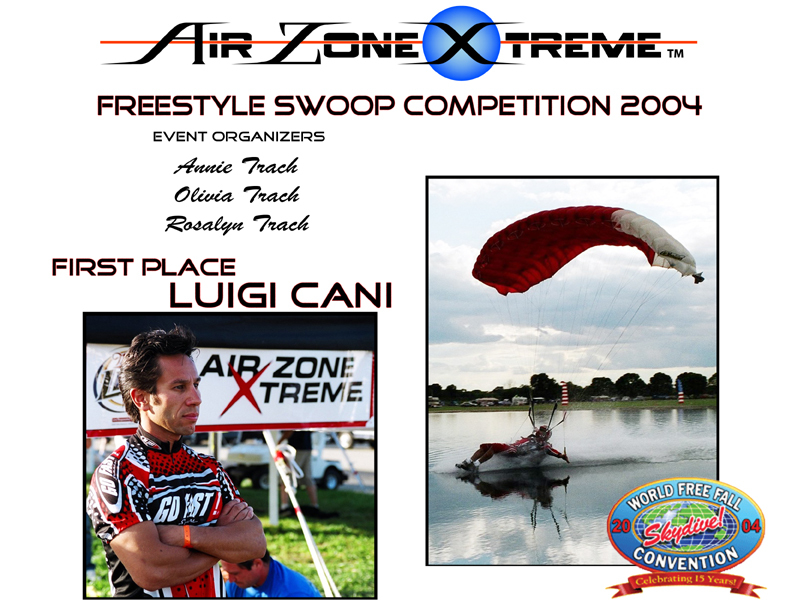 The competition finished before sunset in time for Luigi Cani to fly and land his Icarus VX39 in front of the crowd. 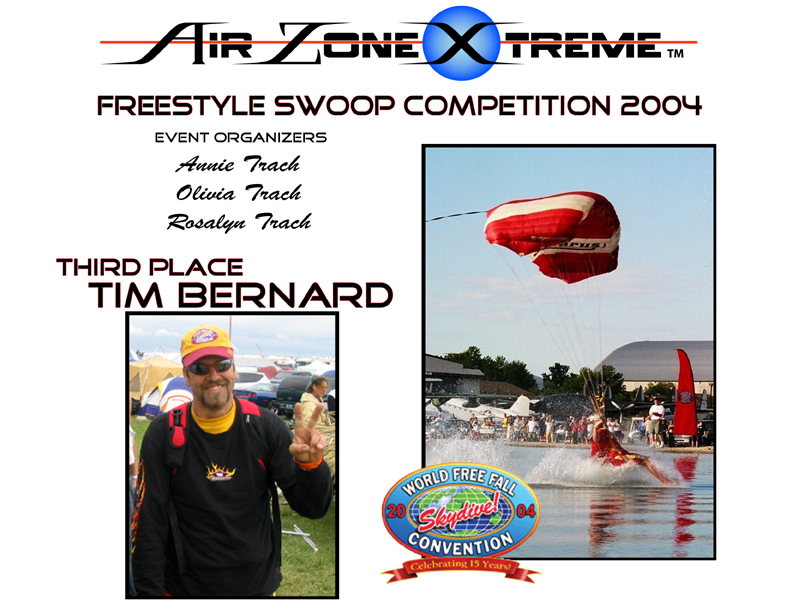 AirZoneXtreme conducted a swimsuit competition at the 2004 World FreeFall Convention in Rantoul, IL sponsored by Ultama Swimwear! 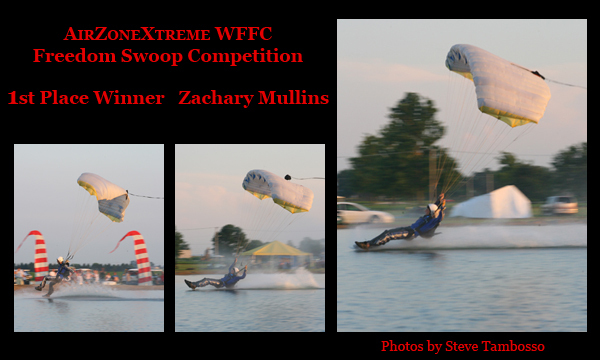 The competition was held at WFFC's Entertainment Tent Friday night August 13th, proceeding AirZoneXtreme's swoop competition awards ceremony. Seven girls competed and spoke to the crowd with Master of Ceremonies, Freddy Tripp, as judges Olivia Trach, Danny Koon, Luigi Cani, and JC Colclasure made their decisions. All the girls looked great. 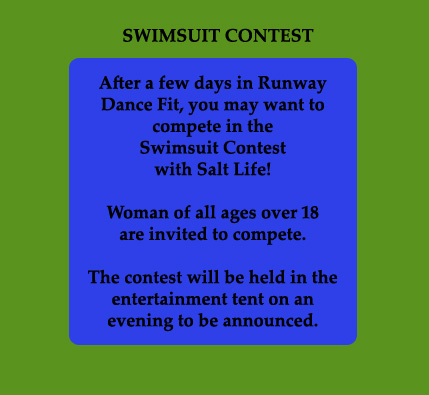 Rosalyn Trach took first place winning the $100 Ultama Swimwear gift certificate. Gift certificates also went to 2nd and 3rd place winners Brandy and Kristen. Each participant was given an Ultama Swimwear beach purse. The competition was definitely an evening highlight of the final Friday night. 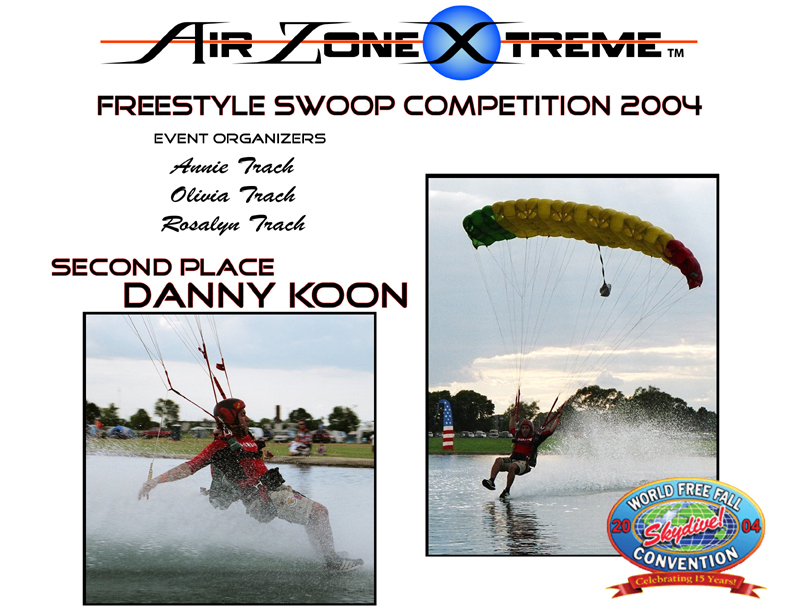 AirZoneXtreme attended the Jacksonville's annual Film Festival on May 14-16. It was an exciting display of independent films, discussion panels and distinguished parties. The remake of Disney's classic "Where the Red Fern Grows" staring Joseph Ashton premiered at the Film Festival with Executive Producer Wayne Mooneyhan. It is one of the best family films in decades. Bill Murray was also present to receive a Life Time Achievement Award. To view pictures of film festival click here.